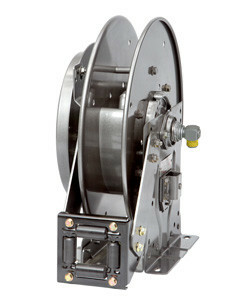 Since 1933 Hannay Reels has been providing quality handcrafted hose reels to various industries. When it comes to your equipment, you demand quality and value – and Hannay Reels delivers every time. Our reels are never retrofitted to the job. Every one of our cable reels and hose reels is designed and built to your specs of heavy-gauge steel, with exclusive features that help absorb the punishment delivered by even the most demanding applications. To make getting a Hannay reel easier and more convenient, we created specialized reel packages to fit a variety of applications in multiple industries. Based on our most popular models, these packages include the reel, hose, and ball stop for quick, immediate use. And like all Hannay reels, they are engineered of high quality, durable materials, so you know you can rely on them to provide superior performance for years to come. 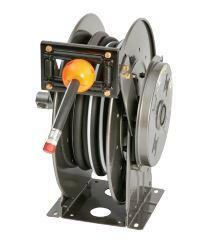 Hannay Reels is the leading manufacturer of high quality hose and cable reels for most every conceivable application. This catalog describes and gives specifications on our most popular hose reels. If you don’t see what you’re looking for, give us a call and we will help you meet your needs. Hannay Reels offers aluminum, carbon and stainless steel construction for most models. Special coatings and finishes are also available.